The attacks of September 11th 2001 will long remain fixed in the memory of all those who witnessed the effects of the tragedies that day. The events feel fresh and the losses seem just as poignant, even 10 years later. If the passing of time has done little to soften the memory of that day, 10 years has also proved an insufficient amount of time to identify the Italian victims of the 9/11 attacks. 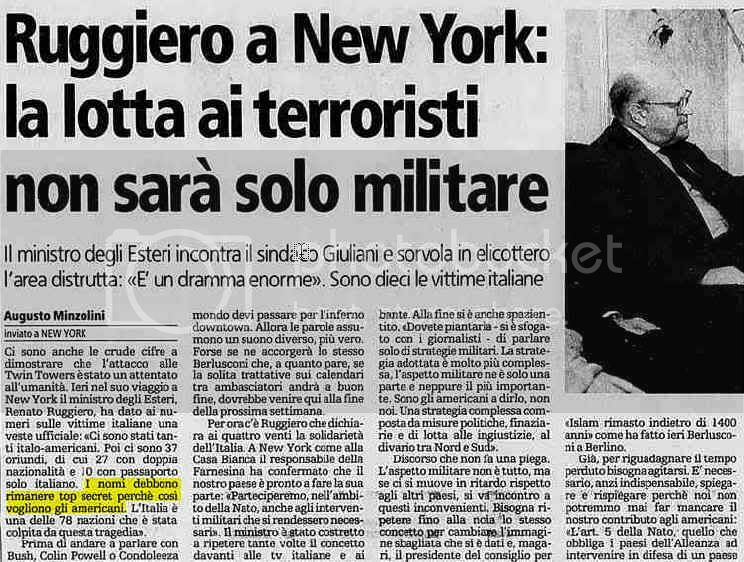 More evidence that there were Italian victims of the 9/11 attacks comes from a variety of sources. The Italian Consulate in New York installed a remembrance plaque bearing an inscription dedicated to “Italian victims” of September 11. This generic allusion to Italian casualties was repeated by President Napolitano himself when he mentioned 10 unidentified victims in a 2008 memorial speech. An AVITER employee has conducted his own research into the inconsistencies and provided more contradictory information regarding Italian fatalities on 9/11. He has uncovered a 2001 article from the Italian newspaper La Repubblica that lists names of suspected Italian victims, but can find no other identifying information published after the 27th of September 2001. Even a decade later, little can be definitively said about the Italian lives impacted by the events of September 11, 2001. Yet, it is not only the victims, but also the survivors of the 9/11 attacks that must be acknowleged. An exclusive documentary on the History Channel reveals some details and give voice to Italian survivors of 9/11. The Italian language programme features interviews with Italians who were present in and around the Twin Towers on the day of the attacks. While much mystery surrounds the Italian victims of that day, one image captures the undeniable grief of two Italian mothers: Rose Notaro and Anna Sereno, clutching photos of their children (opening picture, Notaro on the left, Sereno on the right). Daniela Notaro and Arturo Angelo Sereno died in the Twin Towers on September 11th. 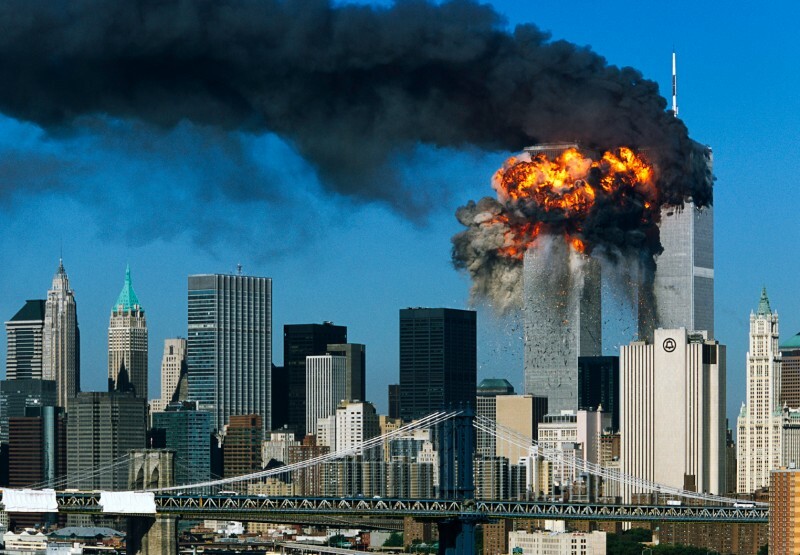 Whether the identities of other victims will be revealed and confirmed remains to be seen but, as the tragic anniversary of the September 11th attacks approaches, citizens of the world, regardless of nationality, will join together to remember those who lost their lives.